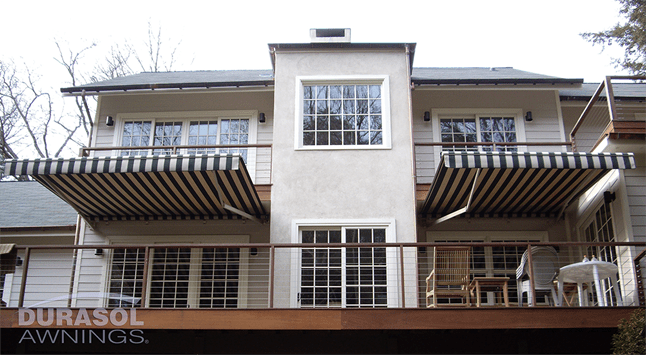 An awning or window shading from Patio Shades is the consumer’s wise choice. We offer the highest quality retractable and mechanical awnings and window shadings made anywhere in the world, and we deliver them directly to your home or place of business, for the most economical cost available on the market – but our sense of value doesn’t stop there. Homeowners, take your home’s value into account. Not only do you want your home to look its best and provide the most comfort and protection for your family and guests, a homeowner with a Patio Shades awning from an elite supplier such as KE Durasol reaps the benefits of a potentially enhanced home value. Location doesn’t mean everything in real estate; appearance counts for something too.